The band will begin the four-week run of festival appearances and headline dates in Berlin, Germany on Jul 25; they’ll be joined on select shows by Firewind and Mirrorplain. Due March 1, “The Verdict” was produced, mixed, and mastered by Zeuss (Rob Zombie, Iced Earth, Hatebreed) at Uberbeatz in Lynwood, WA, Planet-Z in Wilbraham, MA and Watershed Studio in Seattle, WA. 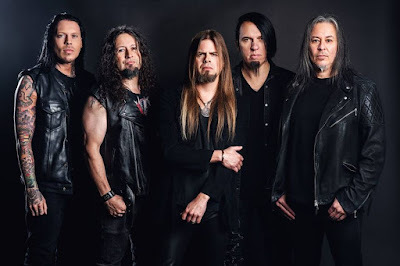 The day after Queensryche release their 15th album, the group will kick off a month-long spring US tour with guests Fates Warning in Orlando, FL on March 2.